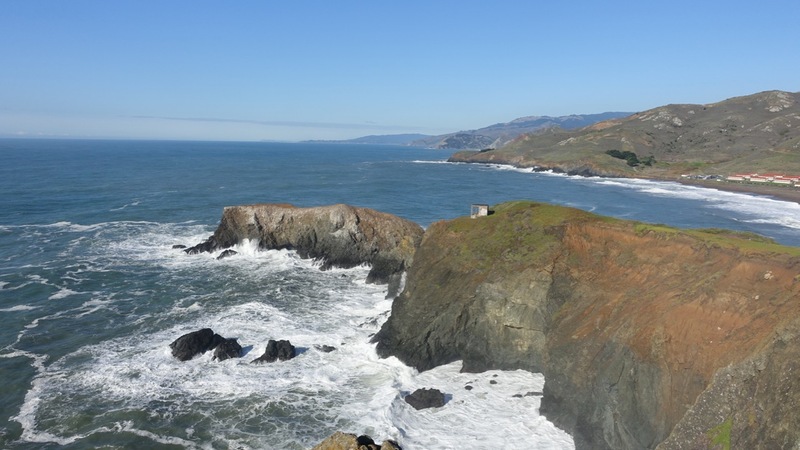 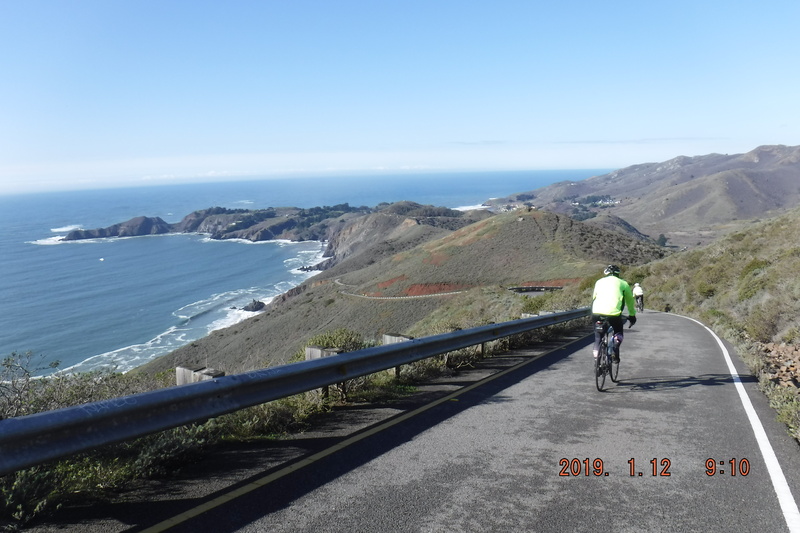 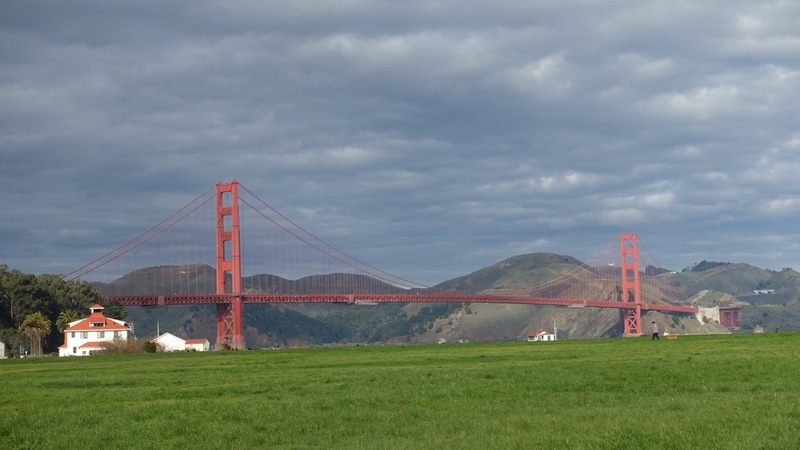 Marin Headlands Ride – 2019! 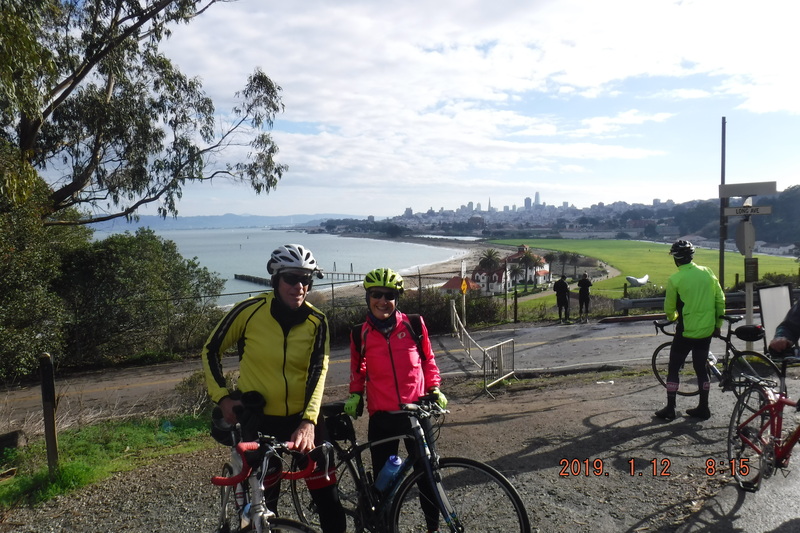 Nineteen VeloRaptors did the Marin Headlands ride on January 12! 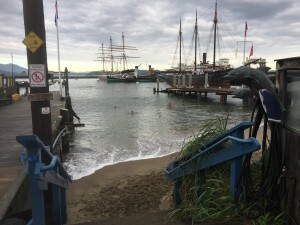 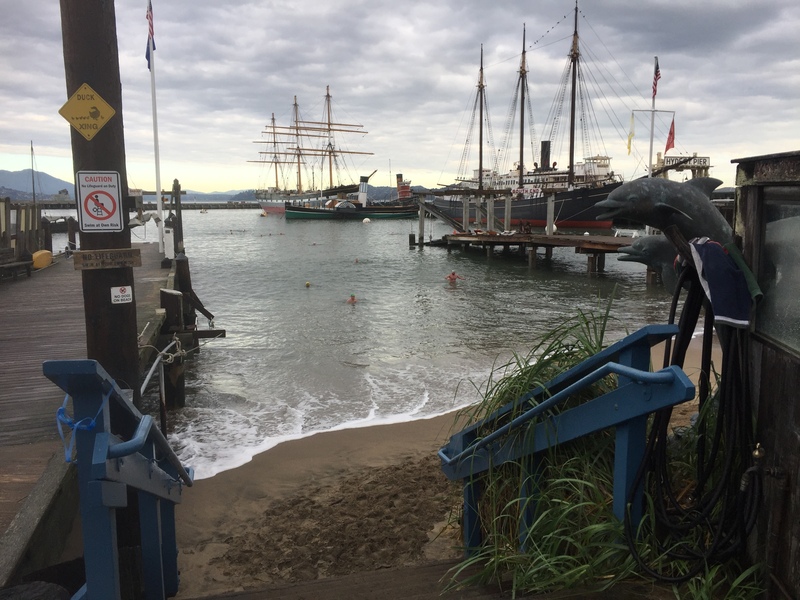 We met at the foot of Market St, and then rode along the Embarcadero to Fisherman’s Wharf. 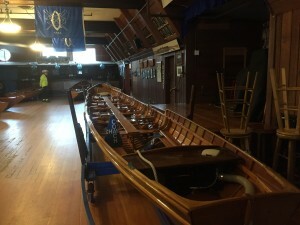 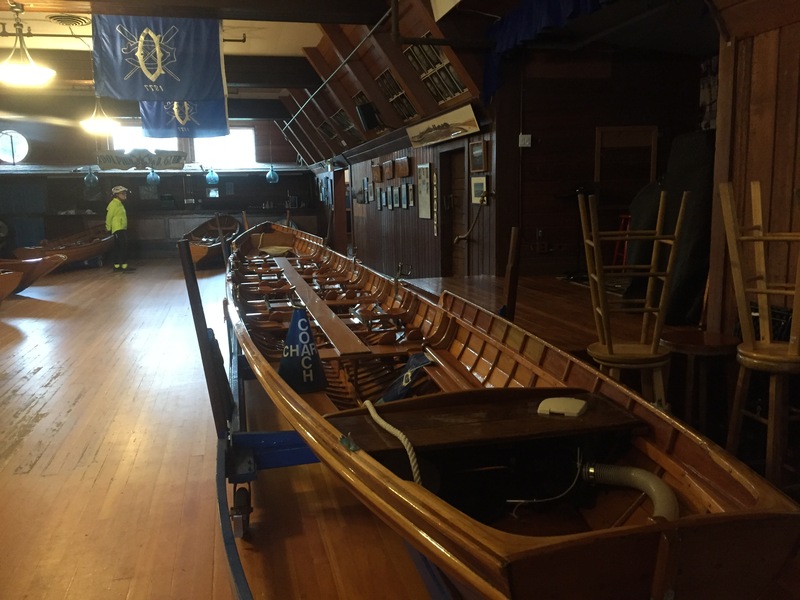 We made a stop at the Dolphin Club to look at the vintage boats, and watch the hardy Dolphin members emerge from the chilly water. 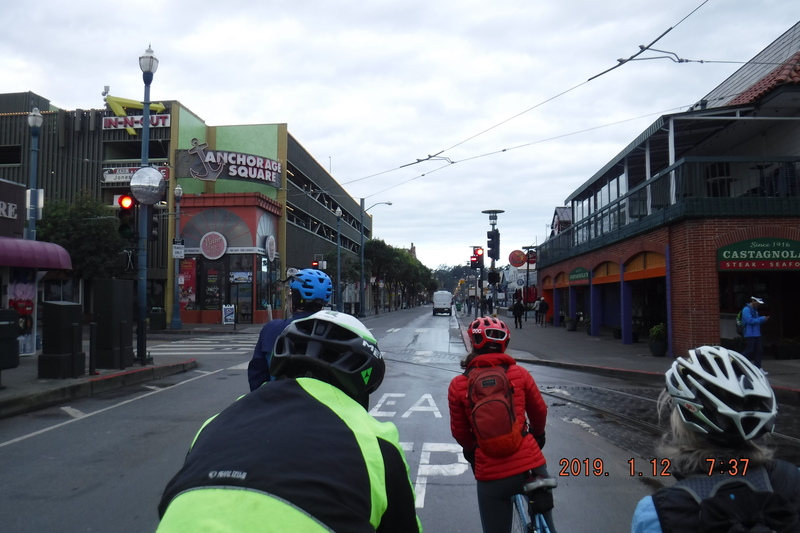 Biking across the Golden Gate Bridge is always an exhilarating experience, due to being on this fabulous structure, crossing the Golden Gate, and the speeding cyclists, rookie cyclists on electric bikes, going in both directions, as well as the bridge maintenance equipment. Once across, most of the group made the long slog up the Marin Headlands, and posed for our annual picture at the top. Then comes the truly terrifying descent down to Ft Cronkite. 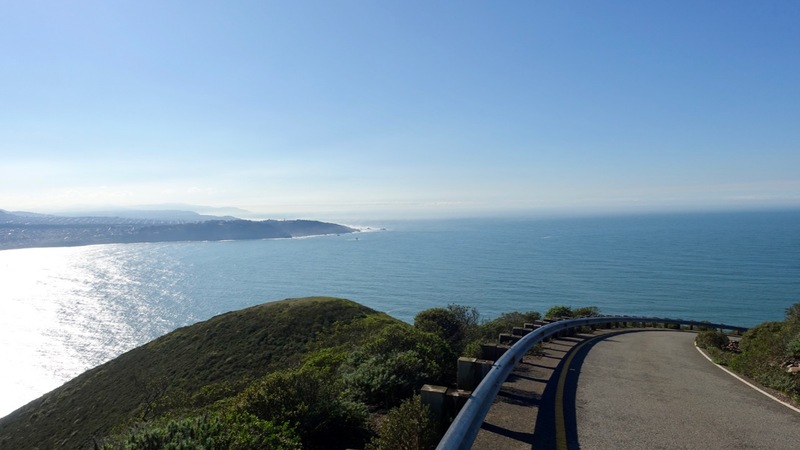 The scenery is fabulous, but the road is STEEP and NARROW with several sharp CURVES. 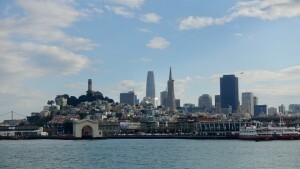 It was then on to Sausalito where the group splintered. Several riders caught a ferry back to SF. A few others cycled back over the GG Bridge, or cycled out along the headlands for a closer look at the ocean. 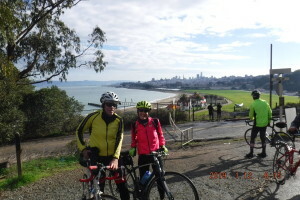 Six of us (3 Steves along with Paul, Kevin and Dale) pedaled our way to Tiburon and took a ferry to SF from there. 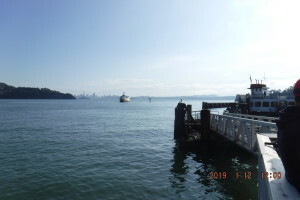 It was a fabulous day for cycling and riding ferries on SF Bay!